Go Live to My Website! Comments Check out our site for Homes & Rentals then contact us! Carla's direct line: 928-699-7941. 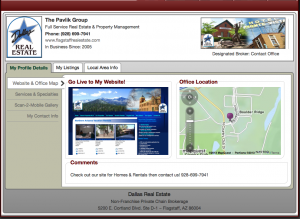 If you cannot reach me, please call our Property Management office inside line at 928-522-2383. Thank you!